At Centralx we develop software and aplications for the medical sector. We offer EHR system for your clinic or medical practice and we go beyond. We have an integrated plataform, with all the possibilities that allow you to achieve greater results. Our solutions will help you differentiate from your competitors, stablish your online presence and build a relationship with your patients, besides making your daily practice simpler and easier. We are leaders in medical technology in Latin America in management systems. Our leadership is based on providing practical and user-friendly systems. In addition, Centralx® also provides online medical information systems for patients and healthcare professionals. You can count on us, from the health records to the most sophisticated technologies to increase the productivity and mobility of medical professionals. 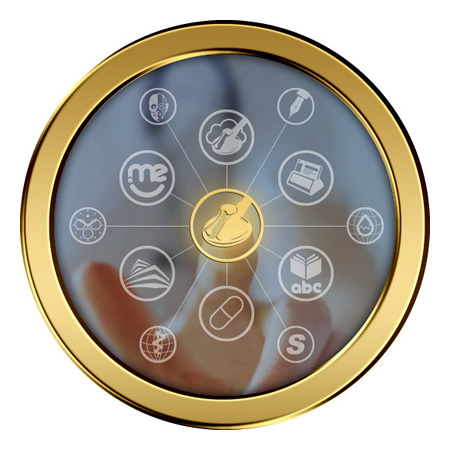 HiDoctor® is a software developed to meet all the needs of a medical practice. With focus on agility, it is the best medical system on the Latin America market. From health records to statistics, the system offers several resources that promote results. The system works both online and offline, whether installed on your computer, via web on any device or through the application for Android and iOS. With HiDoctor® NET and HiDoctor® Mobile you access your data wherever you are, at any time you need it. HiDoctor® Clinic is a complete software for managing clinics and hospitals. It takes care of the complete cycle of high productivity environments, helping integrate the work of various medical professionals. HiDoctor® Clinic also works on the web! You can combine the high performance of a software installed on your computer with the flexibility of online access to all the data.